Are you in need of an airport transfer to BWI, IAD, or DCA, let nationwide chauffeured services take care of this need for you. We have years of experience with airport transfer in the Anacostia, Barry Farm, and Bellevue areas. Here at nationwide chauffeured services we like to make things as easy for our customers and clients as possible. We, DCA Car Service offer 24 hours a day 7 day a week customer service, this means that you can call us at any time if you need to ask a question, or make a change to your reservation. If you are in need of a sedan airport transfer on short notice, then we can accommodate you with that, we, DCA Airport Shuttle have the ability to have a car out to you as early as one hour of you calling and making the reservation with us. The around the clock service is one of the main factors that sets us apart from other companies, as well as it is a perk that our recurring clients and customers like. 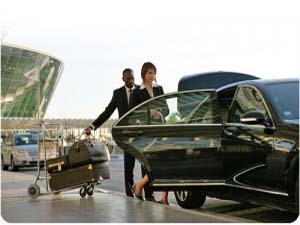 Our Washington DC Airport Transportation is perfect for customers who are flying into the area and need a town car waiting to pick them up, or maybe they would prefer for a chauffeur to be waiting for them with a name sign at baggage claim. Our Limo & Washington DC Airport Service anywhere software that we use comes with an air flight tracking system that lets us know when your flight will be coming in early or possibly arriving to DCA, BWI, OR IAD late. Discover Excellence in service! Call us now to reserve your DC Limousine Rental & DC Airport Transfers today!